Nephite explorer is an investigation into some of the most fascinating mysteries in Christianity. Drawing from multiple Christian sources, US history, and archeology from around the world, investigative Journalist and explorer Ryan Fisher dives into scriptural prophecy and makes some startling discoveries that may just rewrite American history and Christian thought in the United States. Journalist Ryan Fisher investigates archeological sites in Jerusalem to fill in the rest of the story behind the exodus of the family of Lehi from Jerusalem in 600 BC and to find out if the prophecy of Lehi and the prophet Jeremiah, that Jerusalem will be destroyed if the people don’t repent, was fulfilled. Investigating the concept that the United States is a promised land, journalist Ryan Fisher meets author Timothy Ballard who uncovers that President Washington took a solemn oath that he would preside over a new promised land as prophesied in the Old Testament. Investigative journalist Ryan Fisher searches for clues from Book of Mormon prophecy about the pilgrims that can tell us where the lands of the Nephites are, and what that means for Americans today. BYU TV isn’t allocating resources or airtime for new “religious” programming right now. Hopefully that will change in the future. For now catch it on channel 14 or stay tuned to http://www.nephiteexplorer.com where we’ll be uploading episodes frequently. Hi I’m new:) this is just so interesting as my love for the Book of Mormon has grown I can’t wait to get all involved in this project you guys have going on. How can I watch this series and how do I get more info on the tour? I agree. Utah gets all the good shows, tons of temples, the best university…time to share all this with the rest of the saints. I’m always feeling left out because I don’t live in Utah. and if I didn’t see the animal until after my pet did I would’ve ietadiemmly ran to my pet and grabbed it by it’s collar, harness or back of the neck and pulled it away. Just letting you know that the Kjzz14 didn’t stream the rebroadcast. i don’t know about he noon showing. However, I have a feeling it didn’t show that one either. Since the streaming didn’t work how can we gain access to the first episode. I don’t see it. It’s the “Sneak Peek” episode on the home page. Will anymore future episodes be airing? When will they be on? Will you put them on the web site? yes, weekly episodes on KJZZ channel 14 at noon and 6:30 sundays in Utah and they will be posted here at nephiteexplorer.com. 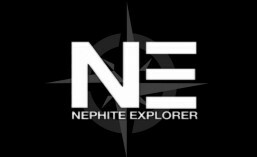 I appreciate the fact that the weekly episodes will be posted on nephiteexplorer.com. This topic interests me a great deal. Unfortunately we do not get KJZZ channel 14 here in California. Yeah the principals we discuss affect Californians as well as Utahs alike. Thanks for the support! Thank you for putting the shows on the Internet. I called Dish and they told me KJZZ was not available in Nevada. I really did not want to miss this. Is there any way for us to download these episodes to have them for viewing anytime, not just over the internet? The entire season will be available for purchase on DVD first of July after they have aired on TV. Thanks. Thanks Ryan. As your standard single-income-with->2 kids church family, I request you keep the DVD cost around $15. When stuff goes to $19.99 or above, I stress out & don’t buy it, even though it’s not really a big deal — one less upside-down banana split from Dairy Dan’s 🙂 But psychologically, in all seriousness, $15 is about the cost of a new movie DVD, and I’ll probably limit out right around there. I’ve noticed only a few of the episodes have been uploaded, and not necessarily in order. Will you be uploading the rest? Joy, eventually yes, you can also get the full season now on DVD in the bookstore. Will there be a season 2 and if so when will it start? I’m currently shooting season two, it’s awesome stuff if you don’t mind me saying so myself:) I don’t have a release date yet. We’re working on our TV contracts, KJZZ wants more episodes right away but these investigations require a lot of time and money to complete. So stay tuned. I’ll post when we have a season two premiere. Cool I’m excited for season 2! Thanks, I’m working on it as fast as I can! I’m so excited! Thank you so much for your research, these episodes and this website – it’s just what I have been looking for to add to my study of the Book of Mormon. I am so intrigued by this information. Thank you, Thank you! Your welcome. Yeah it’s cool stuff that makes the Book of Mormon just come alive for me. Thanks for the feedback! I love your show and the work you are doing! Have you looked into what Brigham Young had said about the St. George temple site and the Nephites? Thanks! Yeah, I’ve looked into the St. George temple site being a Nephite temple site but I can only find one reference by one person that Brigham Young said just that. If he actually said that in a regional conference, I’d expect to find several journal accounts of such an announcement. The one account we have was dictated 50+ years after the fact and isn’t backed up. If you know of any other sources please share, but for now I can’t find enough credible evidence to support that one statement. Now on the other hand Brigham Young’s statement about Manti being dedicated by Moroni as a Temple site is much more credible and as of right now I believe it. Love , love, this show. I have learned so much. Thank you. I bought season one and looking forward to season two. Cant wait. Maybe I missed it. When is season two? Do you have a date set? The show has brought out many new facts and ideas that have been hidden. I recently traveled to New York. The history came alive to me as I visited many of the historic sites. Our American history is so rich and backed by the hand of God. I am very excited for season 2. Amen to that! I could hardly agree more. Everyone needs to do the Church history and American history pilgrimage. It changes you. Thanks for sharing. Season two is going to be awesome! I love your shows. They are fantastic and love when you have guest Bruce Porter on he rocks. I appreciate so much being able to send friends of other faiths to see the information, much easier and more effective than me trying to explain it all. Let me know if you want to do a presentation in North western Montana. I would love to see a live presentation. Thanks again for all you do and I appreciate the work. HI Marne’ yeah I’d love to come to North western Montana sometime. Email me at: ryan@nephiteexplorer.org and we’ll go from there. Thanks! Ryan, thank you. I tell everyone who will listen about you and your adventure. Thank you for sharing it with us. How many times have we been reading the Book of Mormon and tried, in our minds eye to “see” where Nephie tred? Wonderful work. I am buying the DVD as soon as I can find them. The Lincoln story was so inspiring. Yeah, visualizing the places these events took place helps me a lot too. Thanks for your missionary efforts. Season one on DVD is in the bookstore on the left. Season two investigations will be available soon too. Thanks for the encouragement! Your home page lists the wrong dates for season two. Are you going to post season 2 videos on the website? I have sent the preview to all of my friends across the country. Most of them cannot view season 2 because they do not get kjzz channel 14. What do we need to do to view this? Would you also consider coming to Kentucky for a live showing? Hi Jarl, parts of season 2 will be on the website. The whole season will be available on DVD next month. I’ll have it up in the bookstore asap. You’re in Kentucky?! I spend several episodes just accross the Ohio river from you exploring forts I believe may have been built by governor Lachoneus to make a last stand against the Gadianton robbers. You’re gonna love it since it’s a place you can visit on your own. Yes, I’d love to come to KY and do a live showing/ presentation. Right now I don’t have room in my travel budget for a solo trip but if I can find a way to get travel covered than I’d be happy to come and meet with anyone willing to listen. I’ll probably be in your neck of the woods sooner or later so I’m sure I can figure something out. Email me your contact info and where your at: ryan@nephiteexplorer.org Thanks! Just an amazing program! I have enjoyed each episode! Well done! Will there be a third season? I don’t seen season 2 post on here anywhere? Season two episodes are currently airing on TV in Utah or available in the bookstore on DVD. I’ll have an episode online here shortly. Ryan, loved the symposium yesterday. Since KJAZZ is no longer available, where do we go to watch the episodes that you said are coming up?